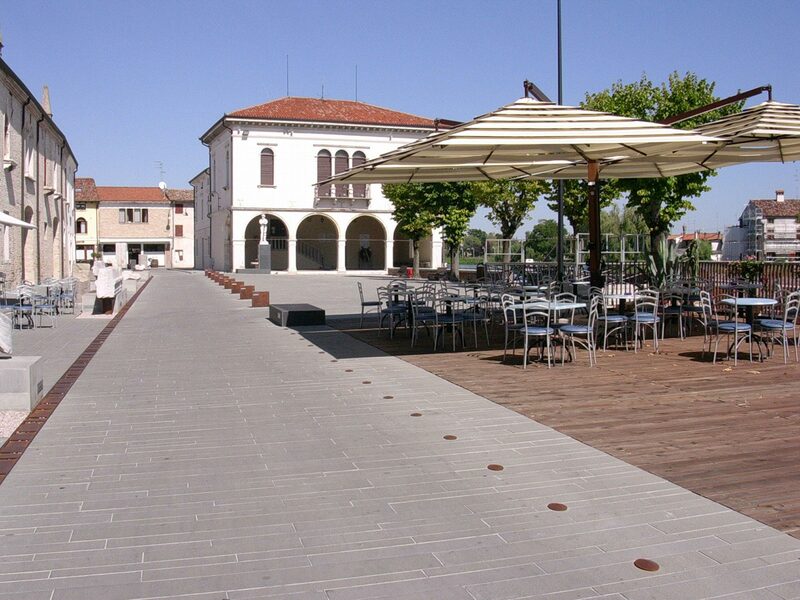 Concordia Saggittaria, a small town in the hinterland of the Veneto, along the road between Venice and Trieste, can document its existence as far back as the 10th century BC. 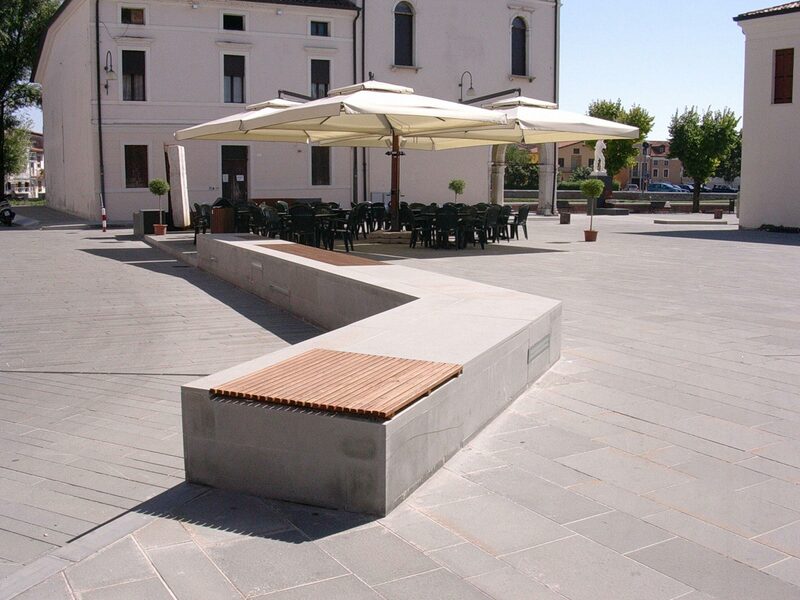 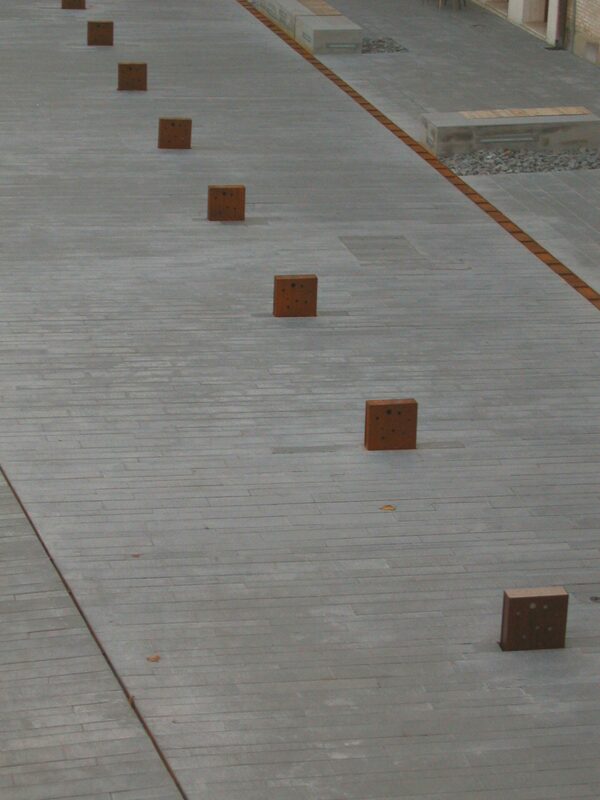 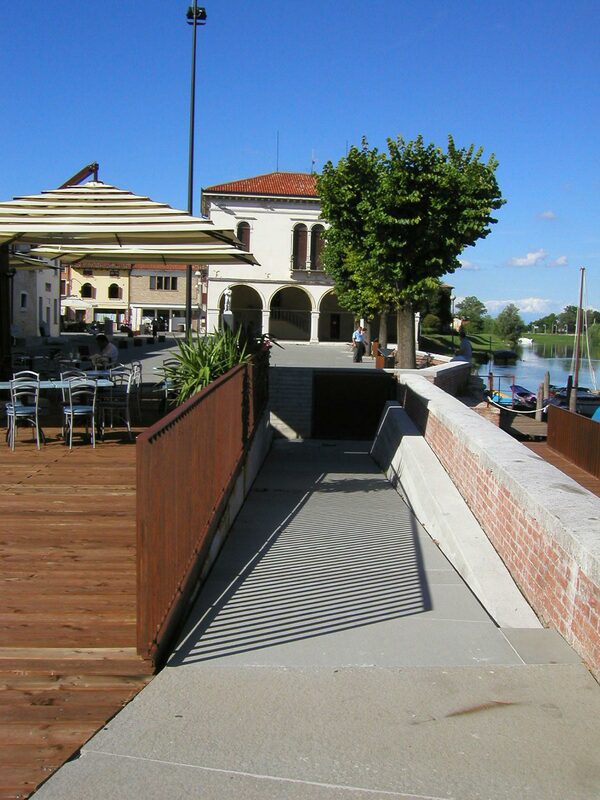 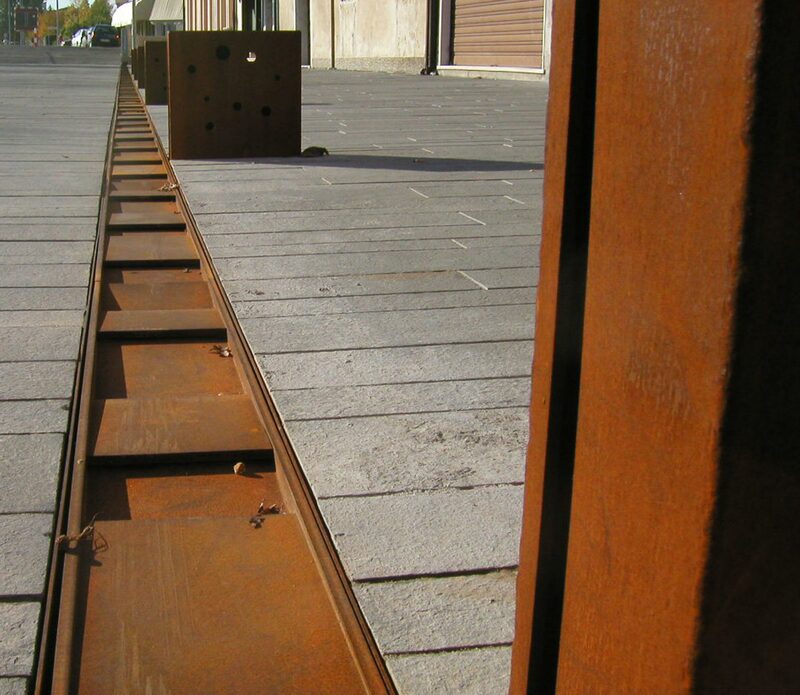 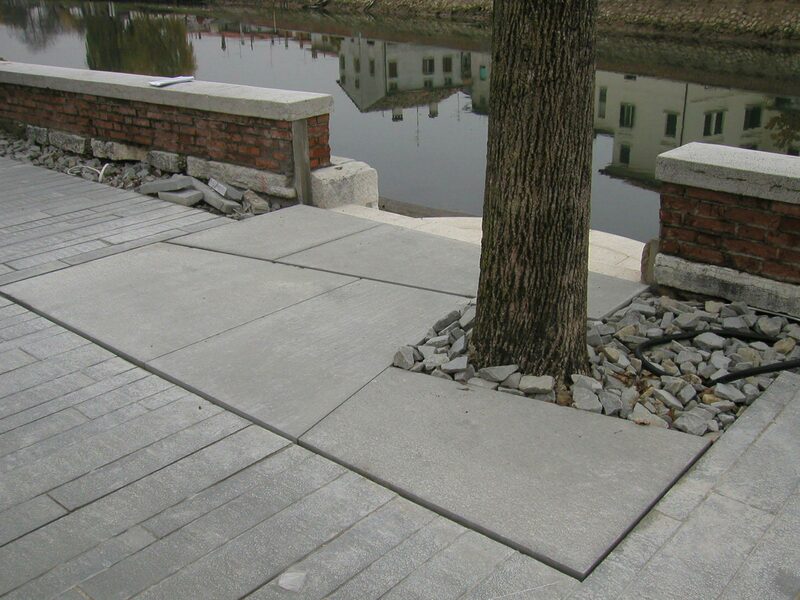 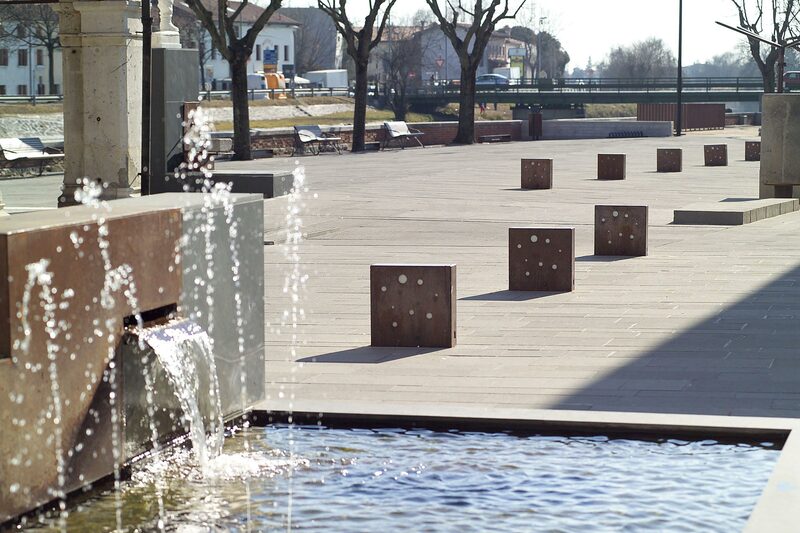 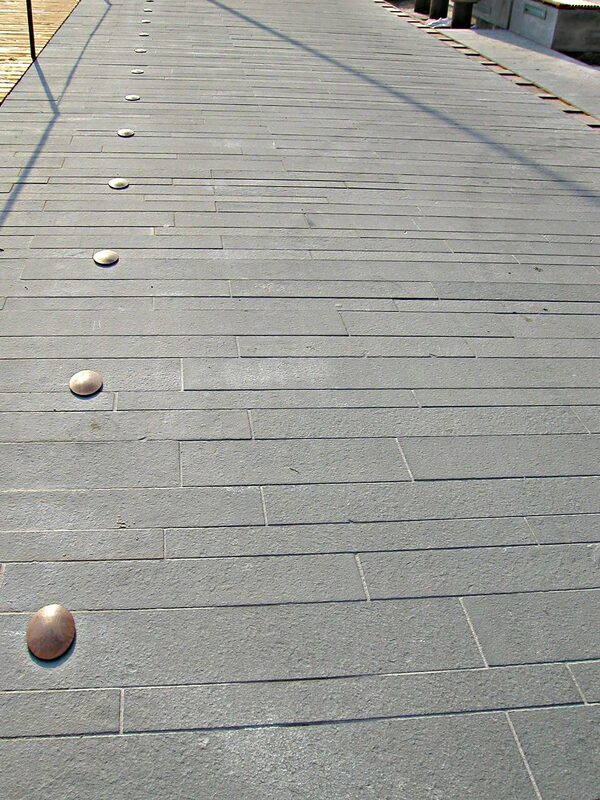 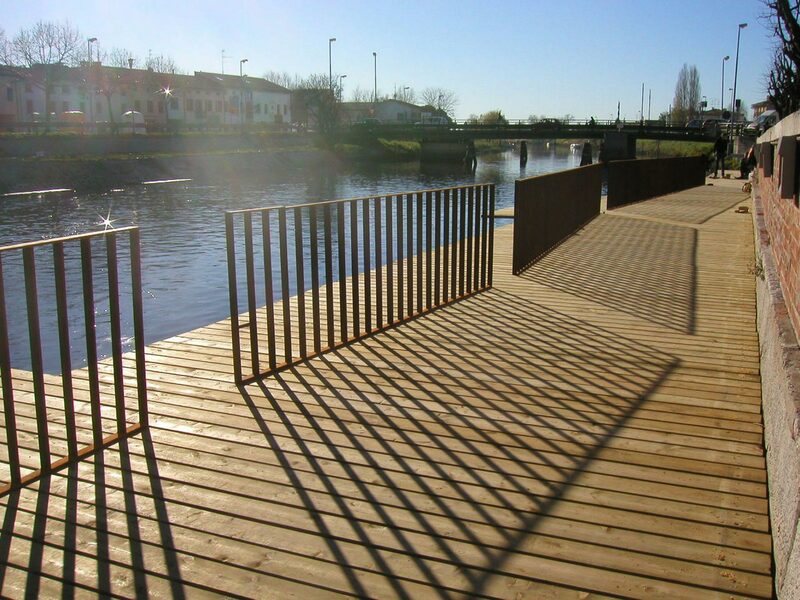 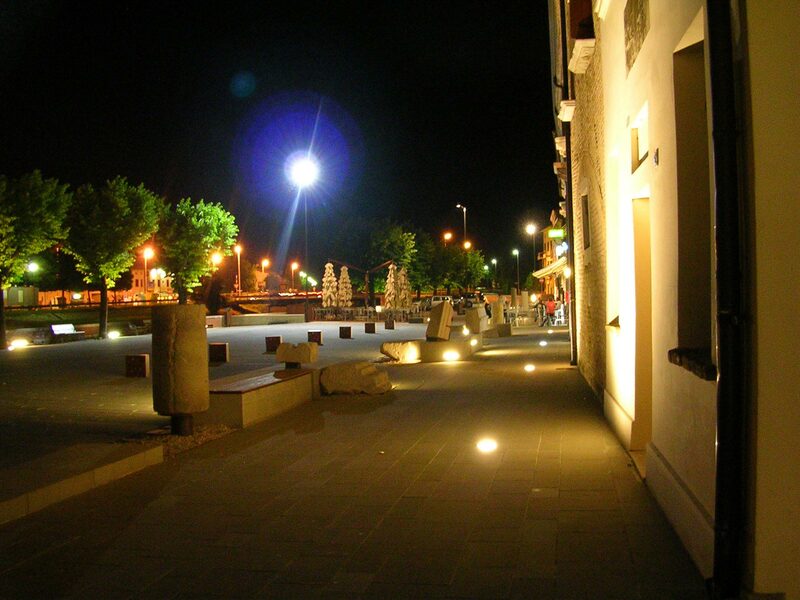 Francesco Steccanella has designed an enchanting repaving, supported by the invaluable presence of ancient remains, which become a creative stimulus for the design of a system of public spaces in which the third dimension of height plays a fundamental role. 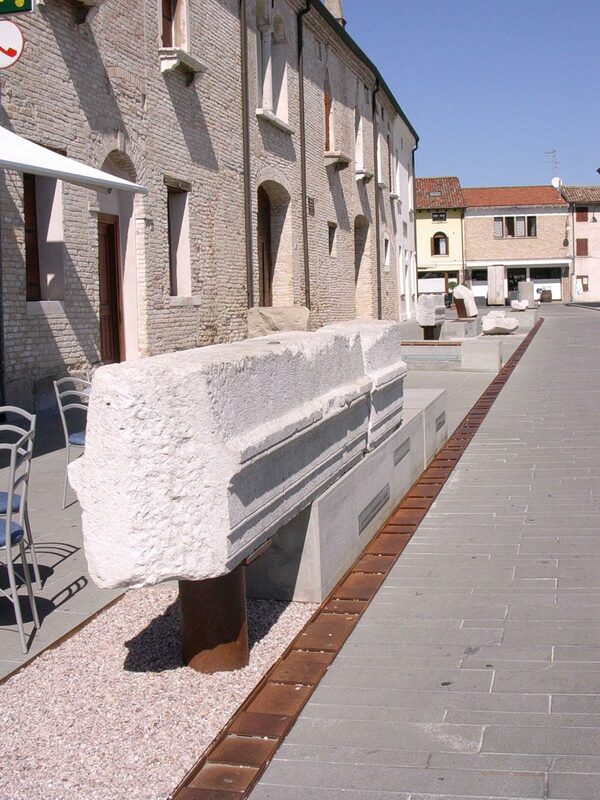 So ancient remains are put on a pedestal, and the area is furnished with elegant conjunctions of materials, combining Colombino stone, wood, gravel and oxidised metal. 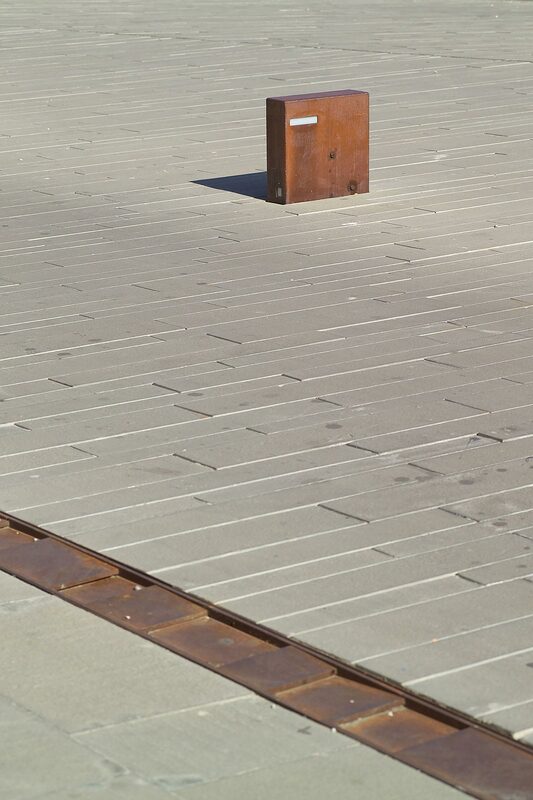 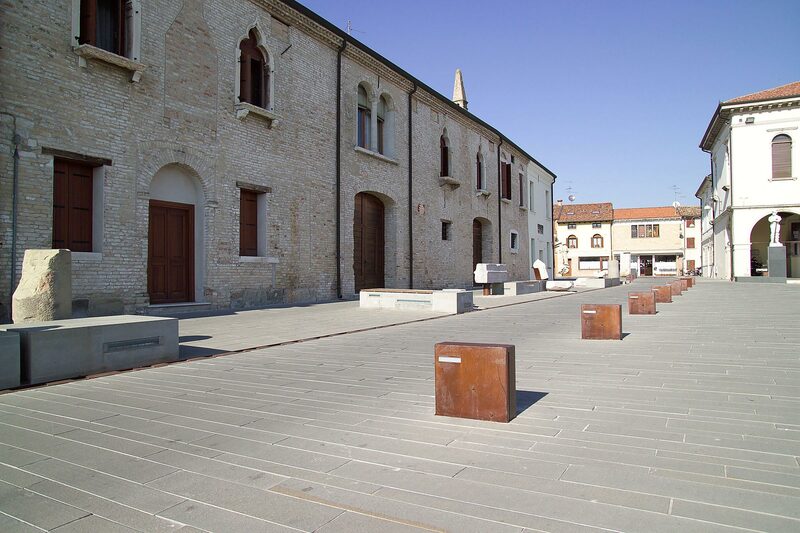 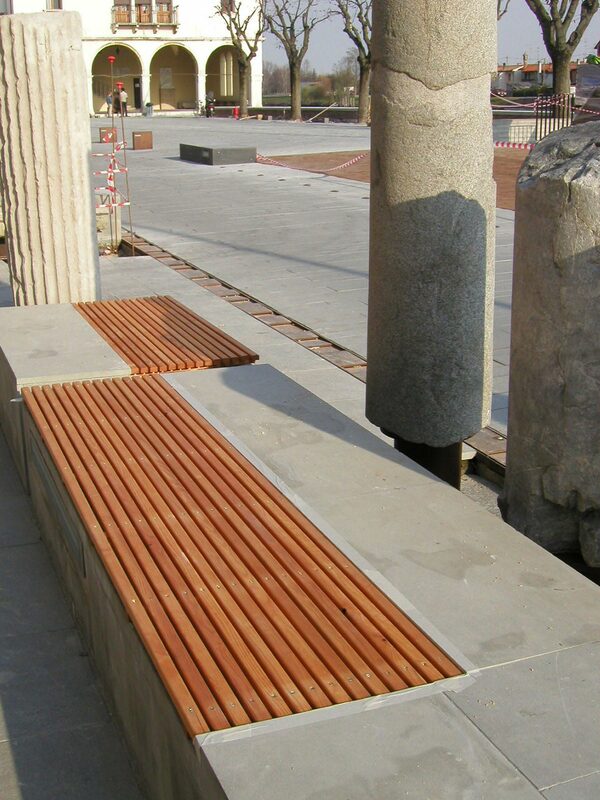 The different materials are orchestrated by mutually evocative intent: that is the case of the strict, elongated geometry of the stone elements connected to the dimension of the wooden slats of the boats and the jetties which link the town to the upper Adriatic gulf.